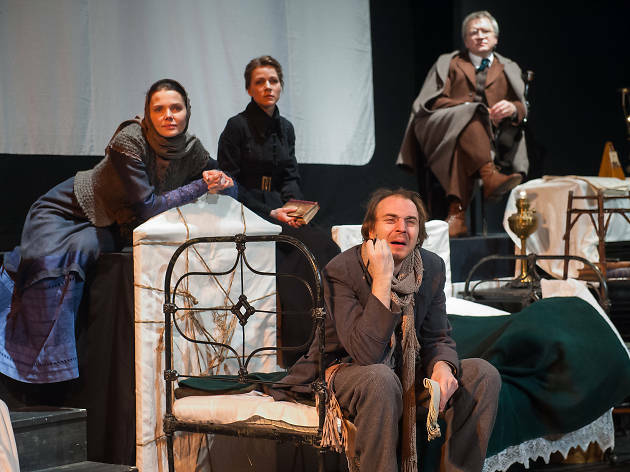 A few months ago, Chekhov fans got a little thrill when they heard that Maly Drama Theatre was coming to town: Lev Dodin's St. Petersburg–based company is an international juggernaut, and The Cherry Orchard is Chekhov's final masterwork. Yet the version now at BAM limps along, striking muffled notes that should be clear. The Maly actors shout and mug; there's little magic, no balance and barely any dynamic control. How has a company this great gotten so histrionically out of hand? 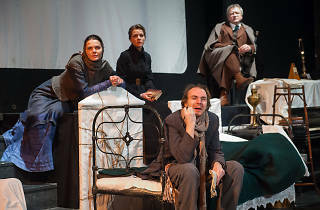 Dodin and his company give Chekhov the Glenn Gould treatment, delighting in countertextual readings and perversions of the original, adhering to their own rhythms (which means subverting Chekhov's time-signature) and veering, frequently, towards affectation. The performances are self-indulgent, yet there's still something empowering about the Maly pacing, the way the director lingers over the work, embroidering moments and interpolating emotional events between Chekhov's lines. But why did this technique work so beautifully with previous productions—Uncle Vanya, The Seagull and Three Sisters—and not here? The difference seems to be, simply, size. Dodin and his designer Aleksander Borovsky put the action right in the BAM Harvey Theater's front rows and up and down the aisles, which puts us uncomfortably close to performers whose technique depends on distance and a proscenium. Such intimacy, combined with an unfortunate tendency by the actors to vamp for approval, means your enjoyment will hinge on how broad you like your acting. BAM Harvey Theater (Off Broadway). By Anton Chekhov. Directed by Lev Dodin. With ensemble cast. In Russian with English supertitles. Running time: 3hrs 5mins. One intermission.